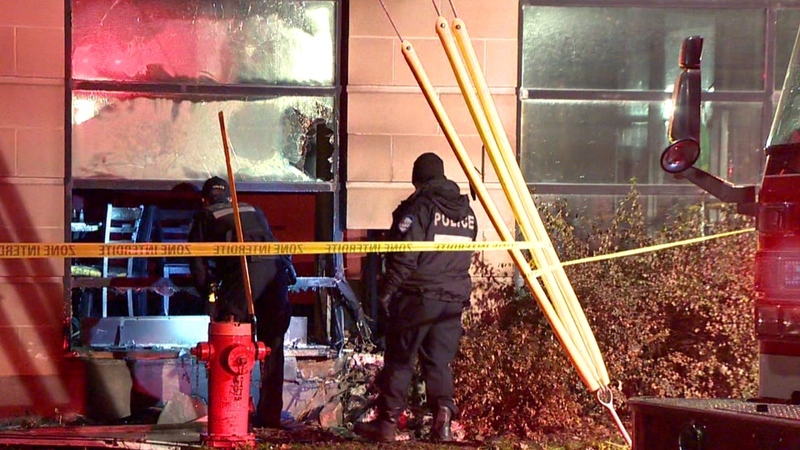 Arsonists smashed a window and hurled a Molotov cocktail into a pizza restaurant in Montreal's Cote des Neiges neighbourhood. It's the second time in two weeks the California Pizza restaurant has been attacked, and over the weekend people tried to set another nearby pizzeria on fire. In each case the damage has been limited to broken windows and little else because of sprinkler systems. Monday's attack took place around 3:30 in the morning, and firefighters arrived to find the flames were sputtering out because of the sprinklers. They then notified Montreal's arson squad, which will meet with the restaurant's owners and examine surveillance video in an attempt to identify the perpetrators.